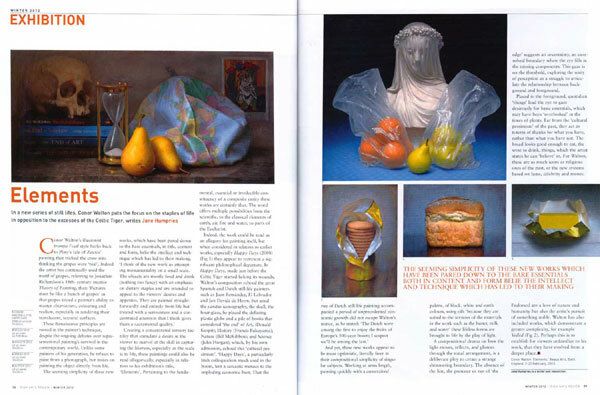 An article by Conor Walton on still life painting has just been published the November 2012 edition of Artists & Illustrators. The article features Conor's painting 'Veiled' (18 x 20 inches, oil on linen, 2012) and discusses the work's chiaroscuro technique and strategy of engaging with the viewer. 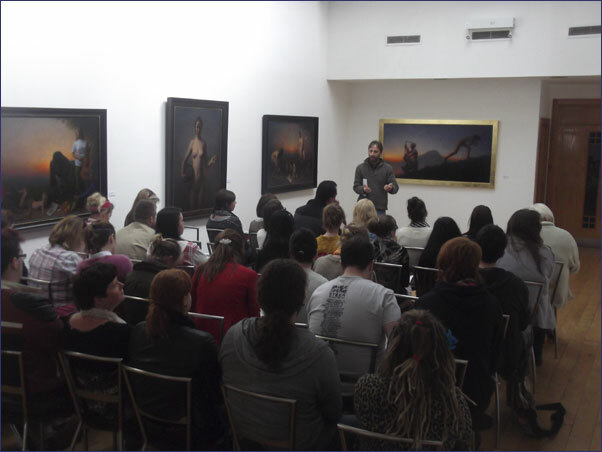 Conor Walton gave a talk about his work at Dunamaise Arts Centre on the 21st of September, one of several events in Portlaoise marking 'Culture Night'. The talk was well attended. Another will take place in Dunamaise on Thursday 11th of October at 10am. 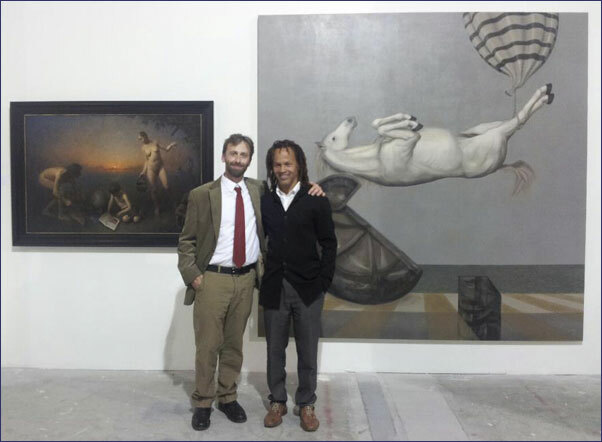 The opening reception for 'Allegories of Painting', an exhibition of 16 figure paintings by Conor Walton, took place at the Dunamaise Arts Centre in Portlaoise, Ireland on the 14th of September. 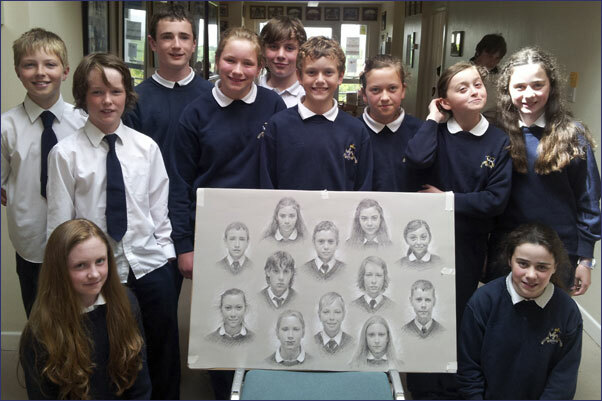 The exhibition was opened by Carey Clarke PPRHA and was attended by many well-known figures from the Irish art world including Mick O'Dea, Robert Ballagh, James Hanley, Joe Dunne, Una Sealy, Bernadette Madden and Stephen Lawlor. Top right: Carey Clarke PPRHA delivers the opening speech. 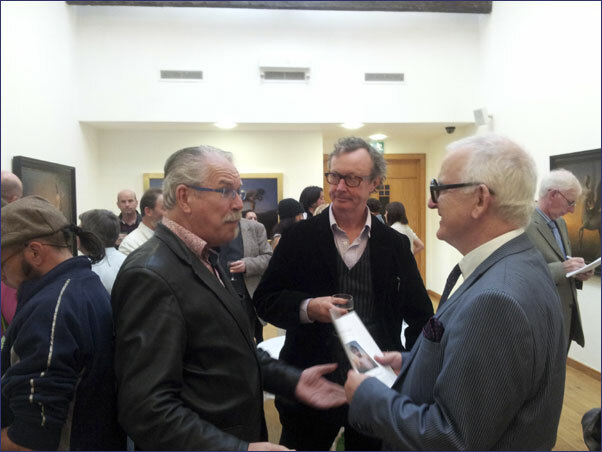 Bottom right: Mick O'Dea, Robert Ballagh and John Devlin in conversation at the opening. This exhibition of figure paintings includes work produced over the last seven years, many of which were recently shown in solo-exhibitions in Denmark and Norway. 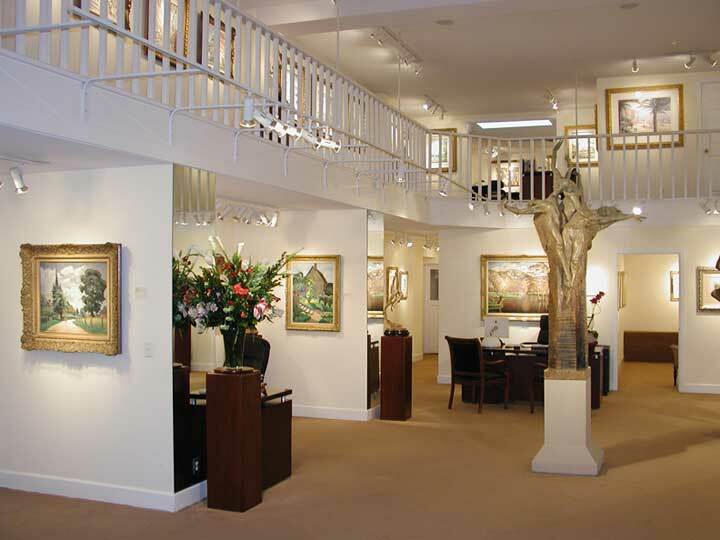 Right: the main gallery space. 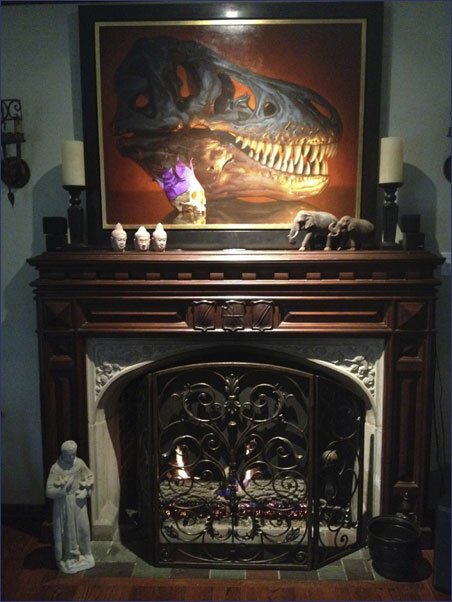 'Rex', which recently sold in New Orleans, USA, has arrived in its new home in Dallas, Texas. Photo courtesy of the owner. The first Dublin Biennial Pop-Up, a major exhibition of work by internationally acclaimed artists including Conor Walton, and curated by artist Maggie Maggee, opened tonight at the Point Village, Dublin. A centre-piece of the exhibition is Yoko Ono's 'Dublin Wish Tree'. 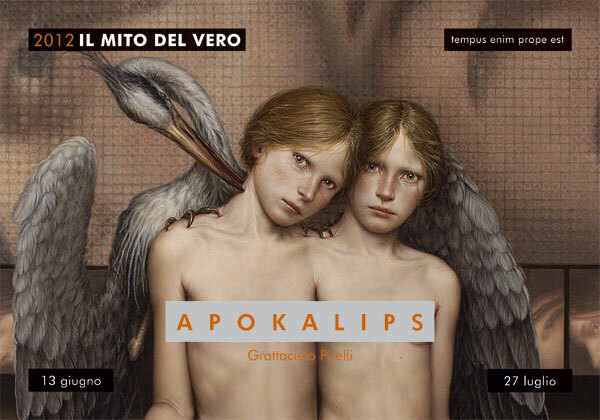 'Apocalips', a major international exhibition curated by Giacomo Maria Prati and featuring three of Conor's paintings opened today in the Grattacielo Pirelli, Milan. In attendance was the President of the Lombardy Region. 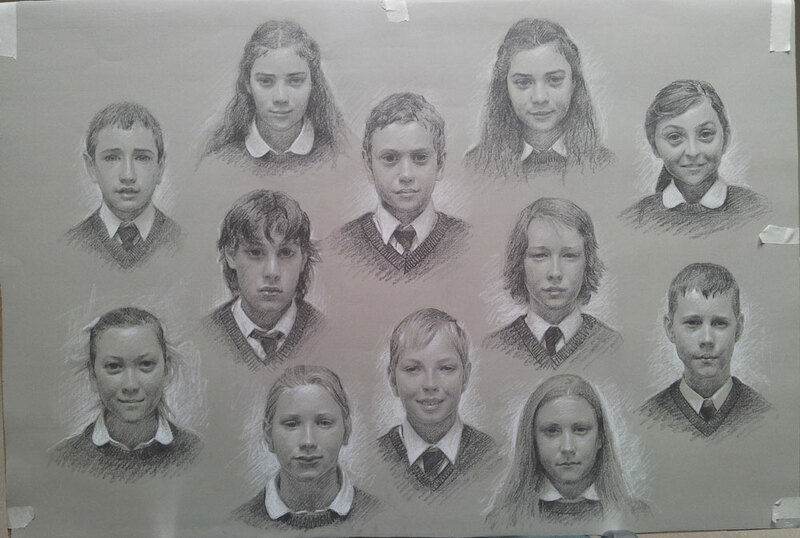 This group-portrait was drawn from life on a single sheet over two days. It marks the graduation of the class of 2012. Thanks kids for your patience and enthusiasm! 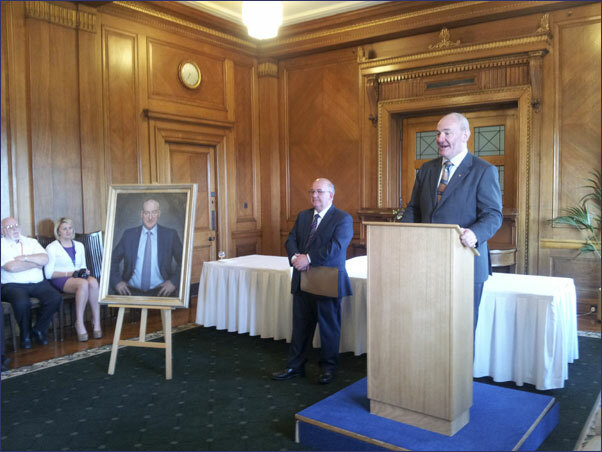 Conor Walton's portrait Mark Durkan MP was unveiled in Parliament Buildings, Stormont, Belfast, last night in a ceremony presided over by the Speaker of the Assembly, William Hay. The portrait celebrates Mark's period as Deputy First Minister in the Northern Ireland Assembly (2001 - 2002) and was painted in his Foyle constituency office last summer over three sittings. It will hang in Stormont beside David Nolan's portrait of former First Minister David Trimble. Conor Walton's painting 'The Key' has been selected for the RHA Annual Exhibition, which will run from May 29 - August 18 2012. 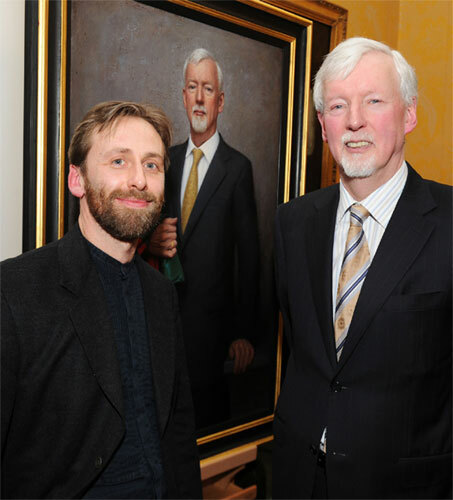 Conor Walton's portrait of Provost John Hegarty was unveiled in Trinity College Dublin last night at a reception to mark the Provost's retirement. 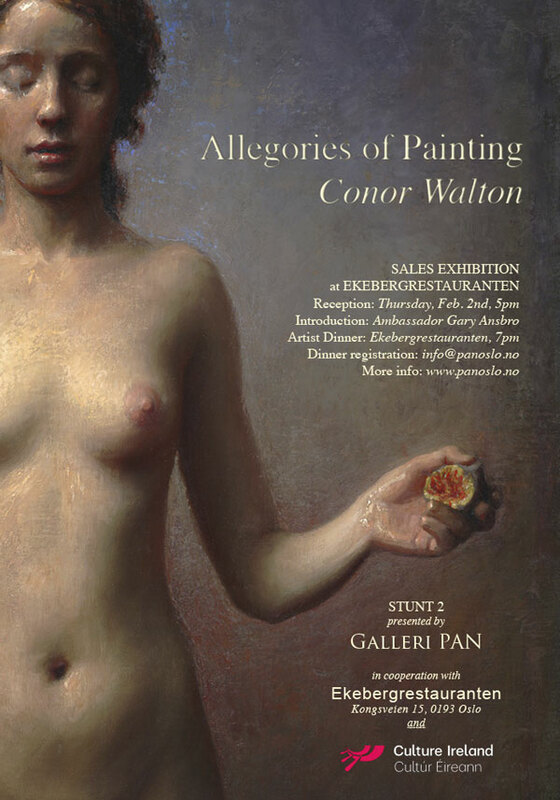 'Allegories of Painting', an exhibition of paintings by Conor Walton, opened in Oslo, Norway, last night, hosted by Galleri PAN. 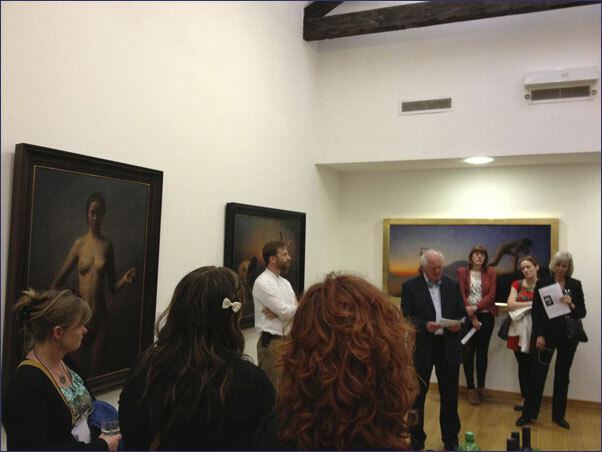 Gerald Ansbro, Ireland's Ambassador to Norway, formally opened the exhibition, which is supported by Culture Ireland. and promote the rich diversity of contemporary Irish creativity in the arts and crafts. This year marks the tenth anniversary of the Fund, which has by now paid out some €200,000 in bursaries. 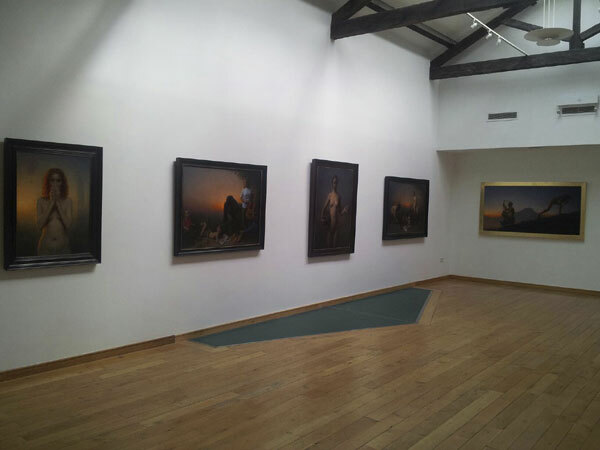 The award ceremony will take place in Dublin at the RHA at 11am, March 6 2012. 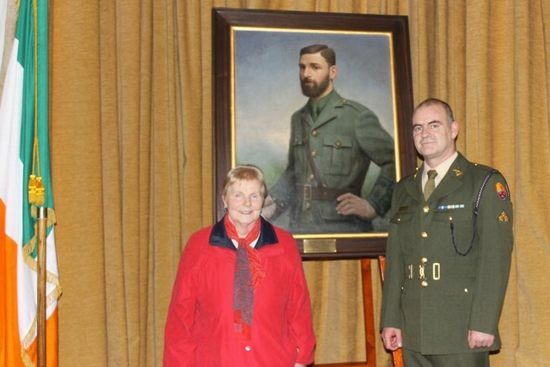 Conor Walton's posthumous portrait of Thomas Kent was unveiled in Collins Barracks Cork by Brigadier General Paul Pakenham, with Minister Michael Ahern TD and relatives of Thomas Kent in attendance. Kent was executed in Cork in 1916 in the aftermath of the Easter Rising. Right: Tilly McCarthy and son Gerard, Relatives of Thomas Kent, at the unveiling of his portrait. 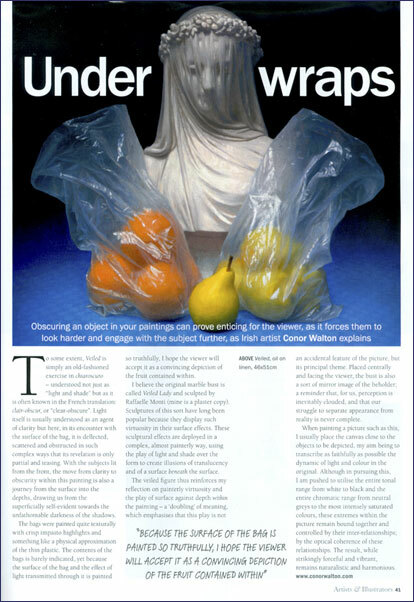 Conor Walton has signed a contract with Christopher Clark Fine Art, who have galleries in Boston, New Orleans and San Francisco, and who will now represent the artist in the USA. Six of his paintings will be exhibited in their San Francisco gallery from March 1, 2012.